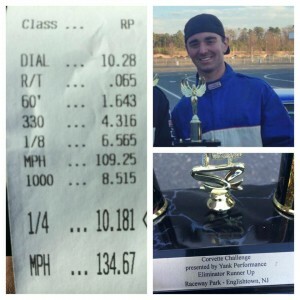 Anthony Cupolo brought home a little something from Englishtown this weekend! We can’t wait to see that 9 sec slip out of that nasty C3. Congratulations, Anthony!